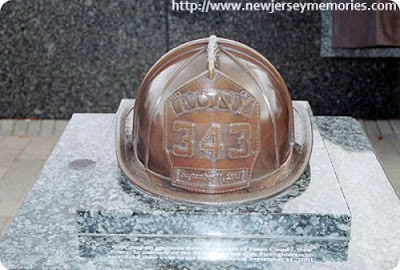 Today is September 11th, 2009, the eighth anniversary of that terrible day which will "live in infamy". Sometimes that horrible day in 2001 seems like yesterday and at other times it feels like a long time ago. 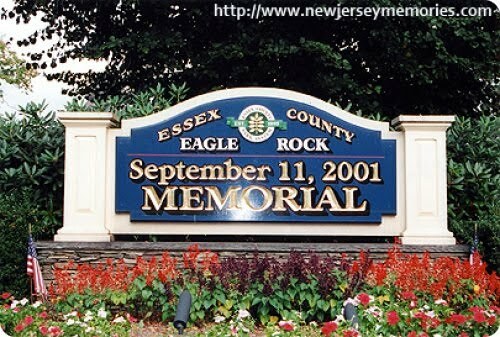 So much has happened since then . 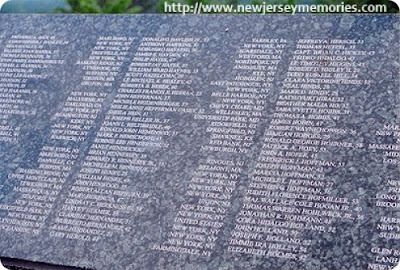 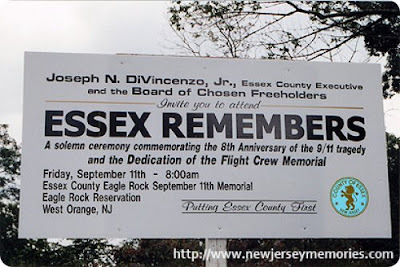 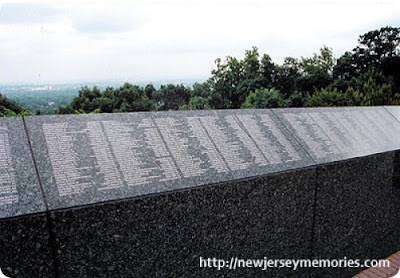 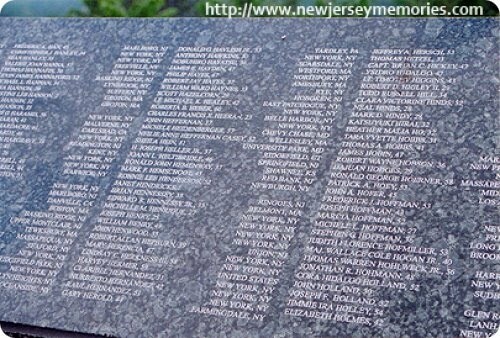 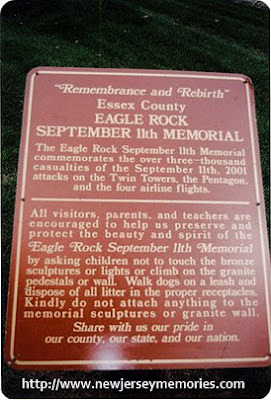 . .
On that day many locals went to the Eagle Rock Reservation in West Orange, NJ to watch the unfolding tragedy. Eagle Rock has a stunning view of the Manhattan skyline. 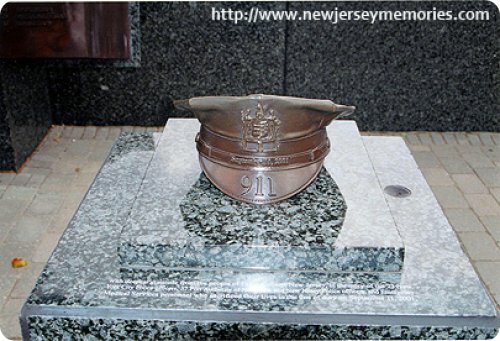 Now there is a September 11th memorial at that place. There are tributes to the firefighters, police, and victims in the Pentagon and in the World Trade Center and on all the planes in New York, Washington and Pennsylvania. 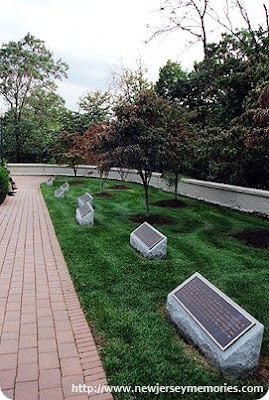 Seven trees are planted in honor of the victims lost in the three buildings and four planes destroyed on that day.